Former Richmond-Burton football coach J. Randy Hofman poses for a portrait on Tuesday, April 3, 2018 in Lake Barrington. 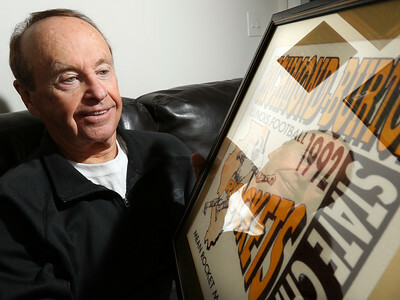 Hofman was coach of the Rockets' 1992 state championship team and will be inducted into the Illinois High School Football Coaches Association Hall of Fame in Champaign on Saturday, April 7. 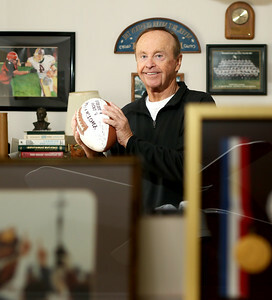 Former Richmond-Burton football coach J. Randy Hofman poses for a portrait on Tuesday, April 3, 2018 in Lake Barrington. 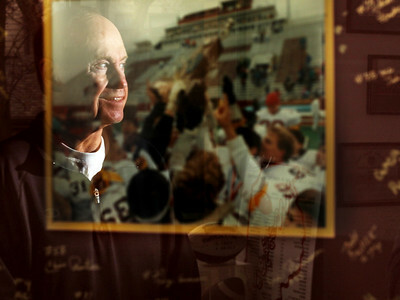 Hoffman is reflected in a framed picture of the Rockets hoisting their 1992 state championship trophy and players' autographs surround the photo in gold ink on a maroon matte. 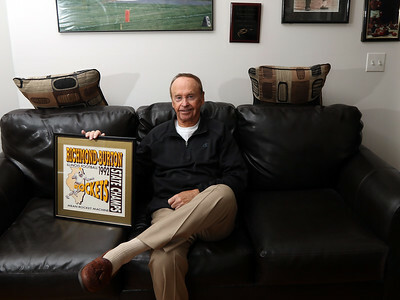 Hofman was coach of the Rockets' 1992 state championship team and will be inducted into the Illinois High School Football Coaches Association Hall of Fame in Champaign on Saturday, April 7.